Salps are effortlessly weird animals. They have a similarly alien appearance as jellyfish and makes one wonder "how can something that big have no FACE?" It can be difficult to imagine oddities like this really TRYING to be alive and somewhere in their genome thinking it a good thing. Nevertheless they have no face and live still. They also happen to be more closely related to humans and everything else with a backbone than they are jellyfish. We are all in the phylum Chordata. During embryonic development we have a hollow nerve cord running along our back while other animals have a solid one along their front. We also get a rod of stiff tissue called a notochord which not only gives us the name 'chordate', but it and the dorsal nerve cord eventually develop into the spinal cord and backbone. Not in salps though, they forever remain invertebrates. But I can hear salps across the world raising their voices in anger, so let us cease comparing them to ourselves and appreciate them for what they are rather than what they are not. There are around 70 species of salp, ranging between 1 and 20 centimetres in length and found exclusively in the marine environment from the equator to the poles. Most animals are basically a tube with a load of stuff around it but the salp makes this really obvious, and not only because they are transparent. They simply take water in through one end and pump it out through the other, filtering plankton as they go. This is how they eat, breathe and move. Maybe they aren't trying to survive at all? Maybe it it just sort of... happened. But then you get to reproduction and it all gets incredibly weird and complicated. 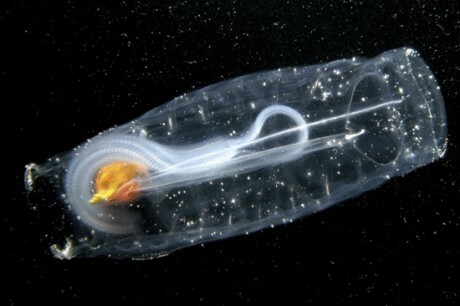 Imagine a salp going about it's business, eating and breathing and moving. At this stage it's known as an oozoid (although no-one seems to want to say it's from planet Zoid). Suddenly it becomes two salps, then three. This one salp can clone a whole chain of itself through asexual reproduction until there are dozens or even hundreds of itself all connected together and individually eating and breathing and growing. At this stage they are known as blastozooids. These start off as female and then turn into males, a process called sequential hermaphroditism, so females always have males at hand. I say 'hand' since I can't even say 'tentacle' with this thing! Females hold a single baby inside their body and feed them via a kind of placenta. Once it's big enough, the youngster emerges as a single oozoid again, ready to clone itself once more. Salps can also grow some 10% of their length per hour, among the quickest growth of any multicellular organism. 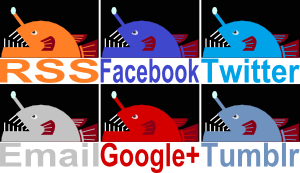 So we have rampant growth, rampant cloning and rampant reproduction all happening in the same place at the same time. It is no wonder then that salps can create colonies of a size to rival even that of our very own Krill. 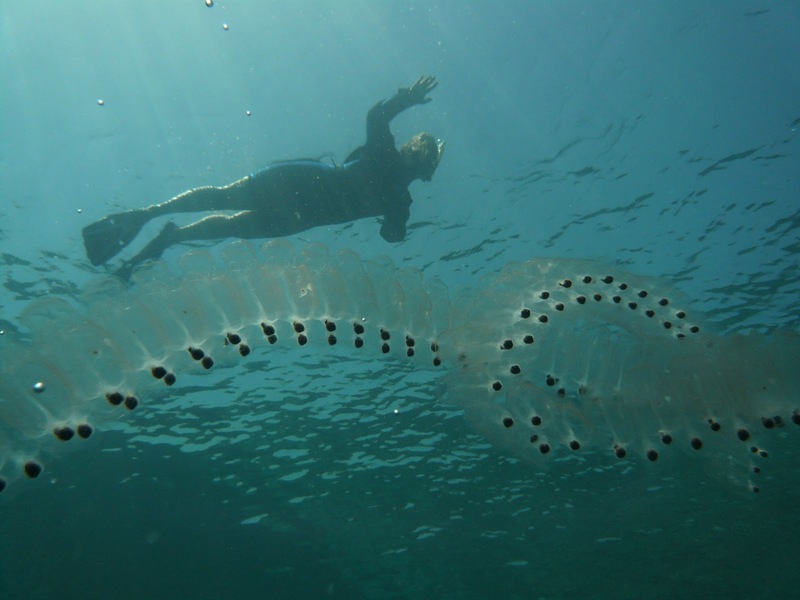 Salps can respond quickly to plankton blooms and eat (and breathe and move) and eat (and beathe and move) until there's almost nothing left and they almost all die. Either that or they simply get clogged up from too much plankton. Oh yeh, and die. I guess that's what happens when you have no brain. I thought so! Glad you liked it. I think you can, yeah. Doesn't seem to be offered much, though!